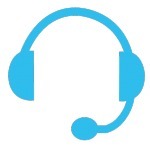 Do you need to hold a large free conference call with more than 400 participants? We’d be happy to work with you to accommodate your needs. Send us an email at support@freeconference.com and we’ll get started!